I also had a few trips that went well too. Nothing more notable than this past Monday. After a hard storm Sunday night, the water was off color on a freestone stream. Mike and Don had a spectacular day fishing. The one time I do not have my camera, Mike landed a 17 inch Brookie on a #6 Stonefly nymph. I have been fishing there for 11 years and have never seen or caught one that big there. Had an awesome kype and gorgeous color. Most of the other fish were landed on soft hackles. Later that afternoon, we meet with Scott from Orvis to discuss some new things to offer at the resort. Soon after that, we went and shot some clays and enjoyed a nice dinner. 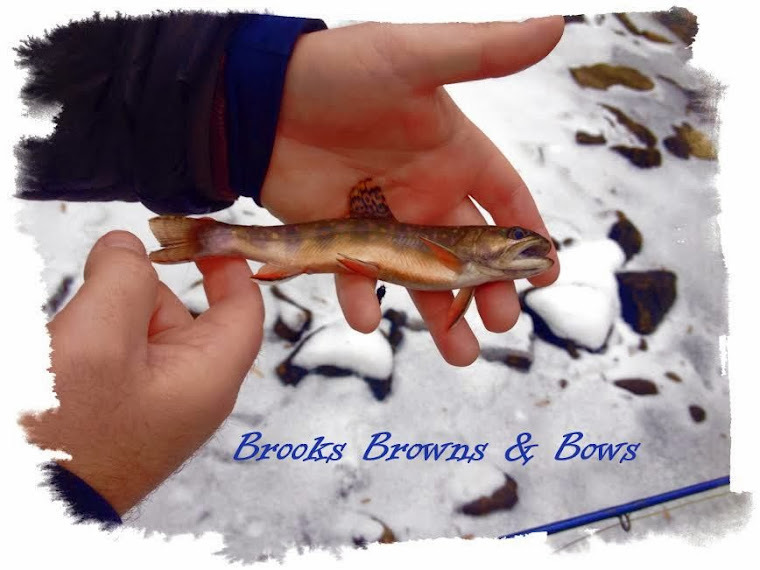 This past weekend we had the pleasure of having one of the best Orvis schools in some time. Alot of solid questions and a good time by all. Decided to tie some flies this evening. I really needed an Iso Nymph in my box as well. The pictures above appear to be the nymph setup for the Yough. very happy you are enjoying the site. Did you ever send your t3 back to Orvis? They will fix it in no time. Even though I have a hydros and a helios, the T3 is one of the best rods I have fished in some time.